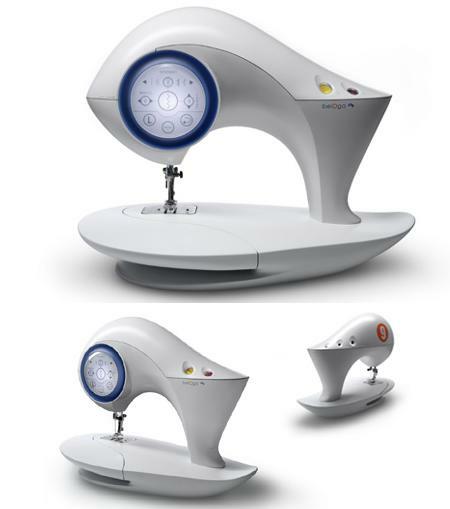 Unlike the other normal machines, the belOga’s sewing machine has a big circular touch screen, that is a substitute of boring buttons and controls. Kristine Bruckner an industrial design graduate from the Munich’s University of Applied Sciences, is the lady behind this great design. This belOga machine is not only just a tiny cute thing but also is very useful. Lay a spool of thread and that will automatically get conducted through the machine. Now put the thread in the needle and start stitching. Very simple, right? The outcome will be definitely a good one as the centre display allows you to see what the stitch will look like in advance. Two little lenses on the side of the body help to see the life of this belOga sewing machine.